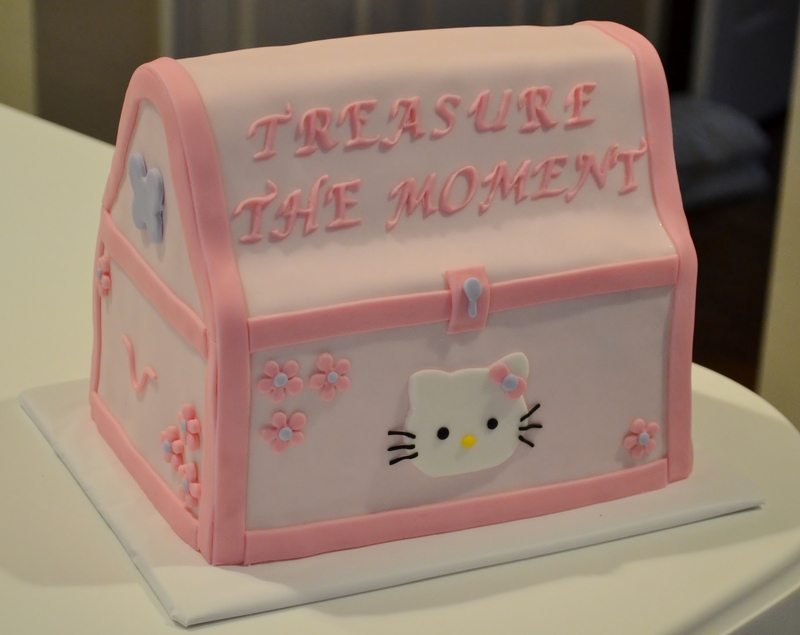 My client for this cake requested a treasure chest cake for a baby shower that she was throwing. On the information sheet that I sent her, she had several different ideas that she wanted on the cake and several different colors that she was using for her party. I was concerned that including all of these ideas and colors would lead to a cake that was a bit too busy, so we worked together to pick her “essentials” which were the Hello Kitty, flowers, and butterfly. We also decided to use just two shades of pink with a pop of purple for the colors. Both of these decisions led to a more polished looking cake.